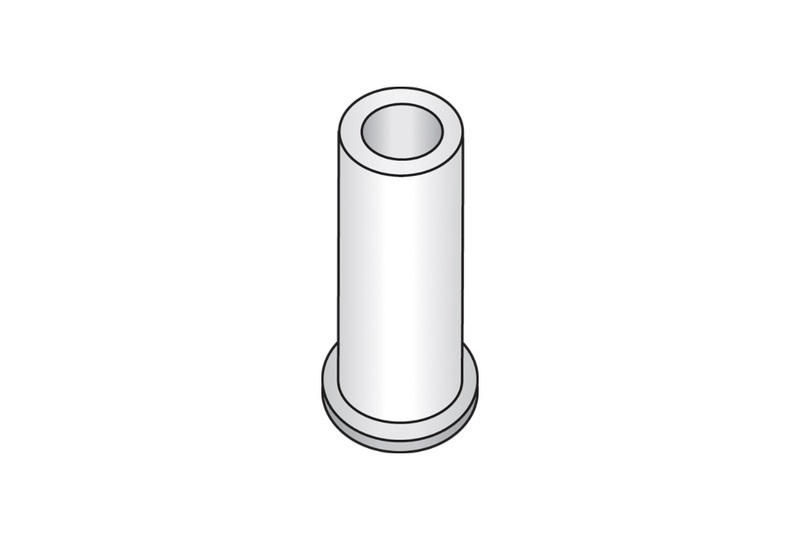 Plastic Bushing Single Barrel Bushing (100pc) For Marchon Frames 2.2mm OD x 7.5mm Long | Q | QTE North America, Inc. These are clear, rigid plastic bushings like the originals. The hole goes all the way through the head. You may safely cut these plastic tubes to the exact length you need with our plastic bushing cutting pliers (46711).